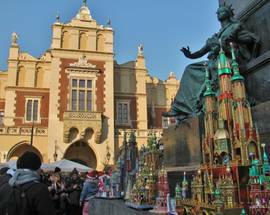 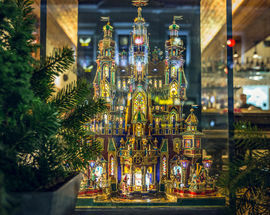 One of Kraków’s most unique and singular Christmas traditions is the popular creation of ‘Christmas cribs’ or ‘szopki.' 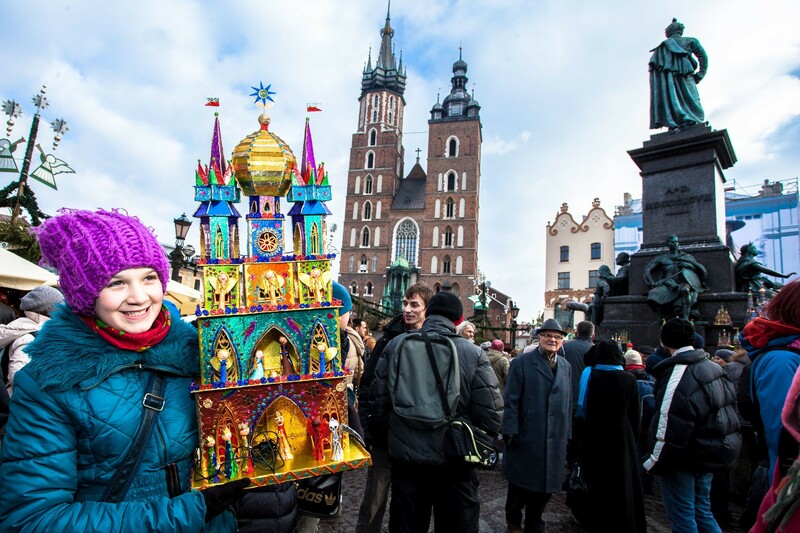 While many churches across the country display elaborate nativity scenes during the holiday season, 'szopki krakowskie' (as the local variety are called) are so idiosyncratic to Kraków, that they were just added to the UNESCO Intangible Cultural Heritage List. 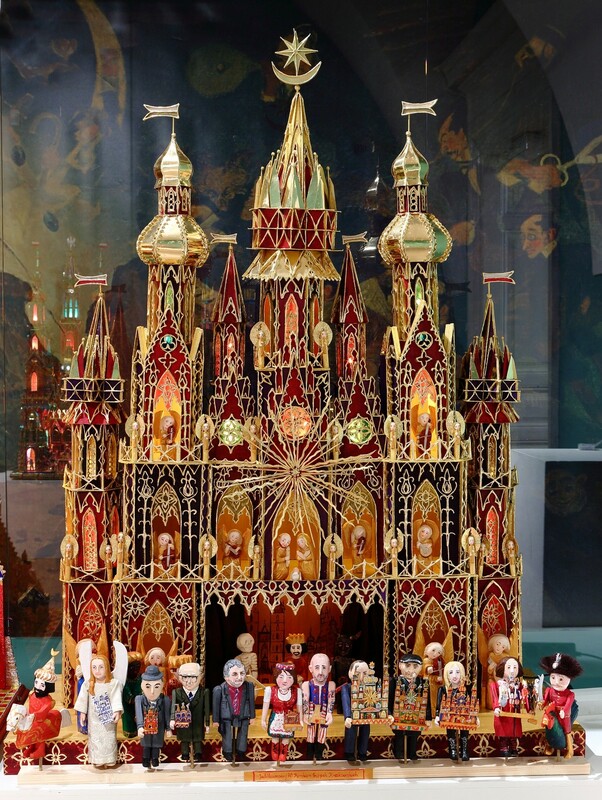 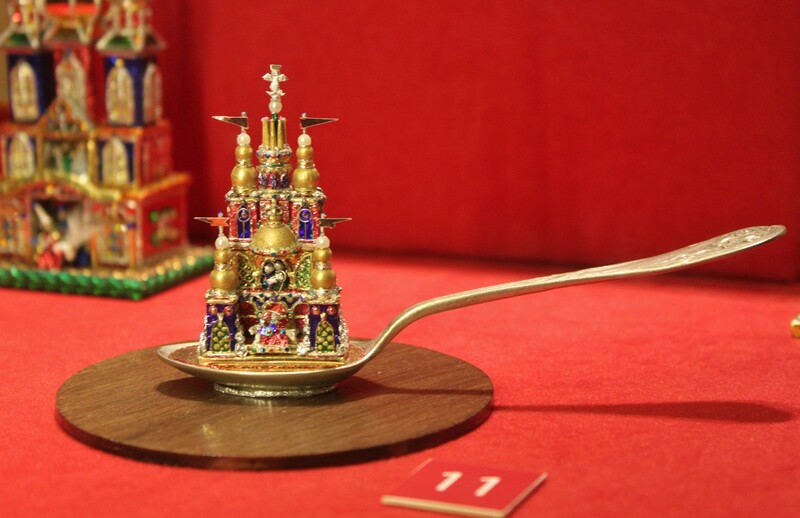 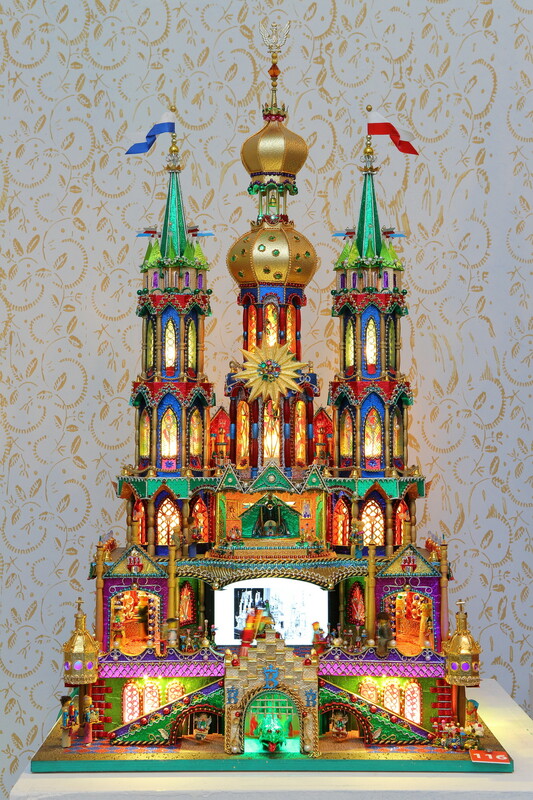 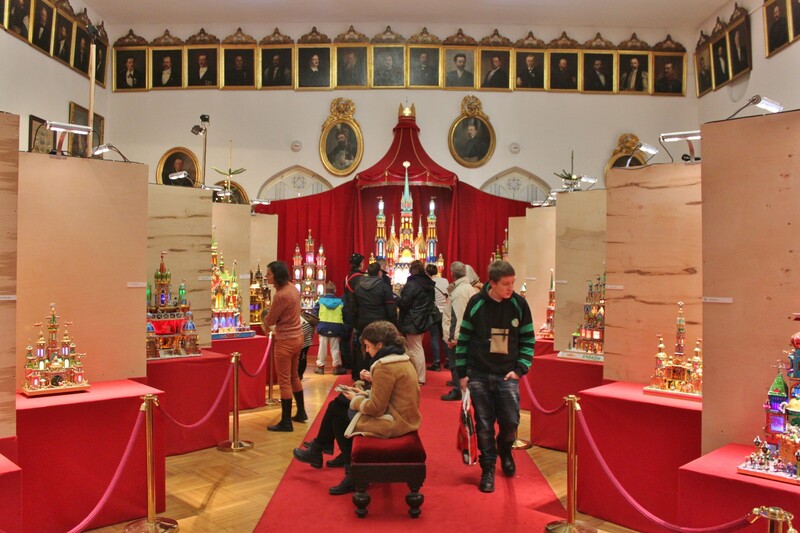 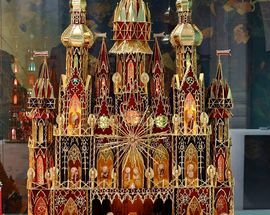 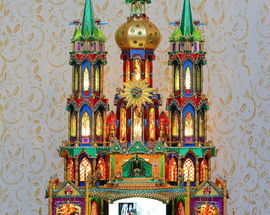 Something of a strange cross between a nativity scene, gingerbread house and garish dollhouse, szopki krakowskie are the bizarre result of a slowly evolving folk tradition that dates back to the Middle Ages. 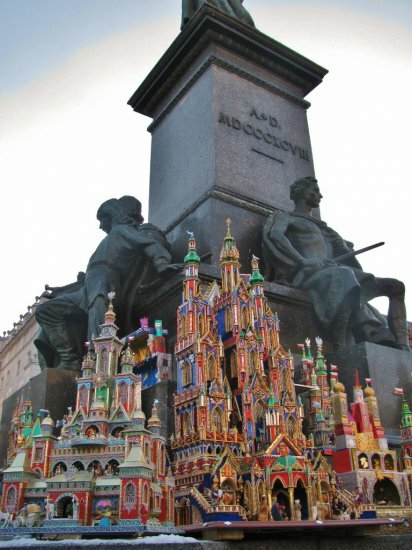 Originally used as mini puppet theatres upon which morality plays were performed during the holiday season, szopki gradually became more whimsical, secular and satirical in nature, leading to an ironic ban on them on church property in the 1700s and a prohibition against their construction in the 19th century by which time they had developed into a powerful political tool used in the cafes and cabarets of the Old Town to criticise the occupying powers. 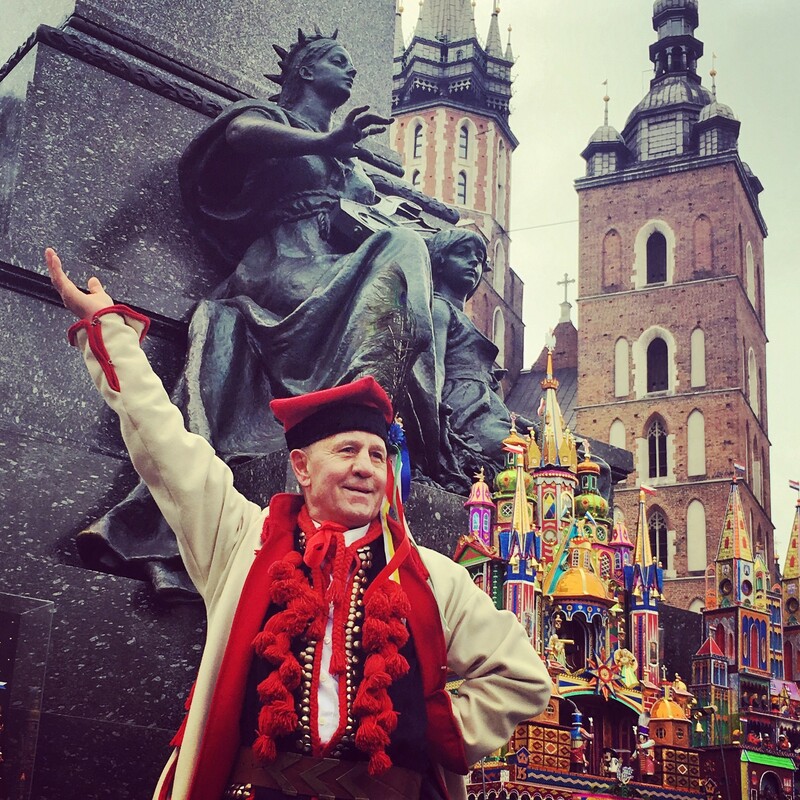 Upon Poland’s return to the world map after World War I, the szopki tradition was re-embraced becoming the celebrated custom it is today. 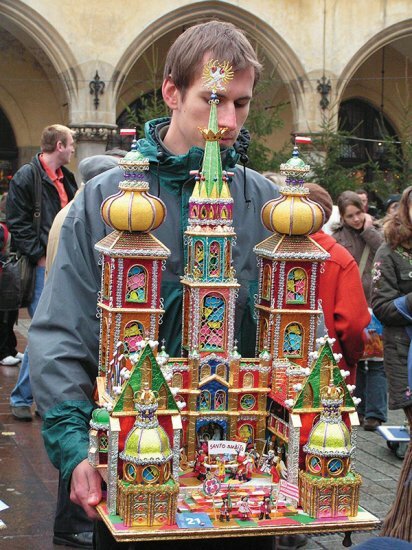 Popularised as a way for 19th century masons and other craftsmen to make some extra money during the drizzly autumn months, szopki are now made by all walks of life; in fact szopki dynasties have developed as generations of the same family build a new elaborate szopka every year. 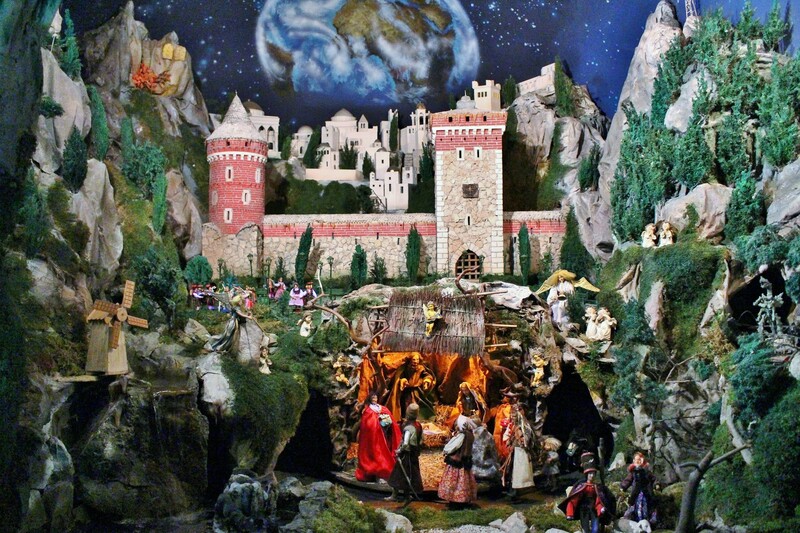 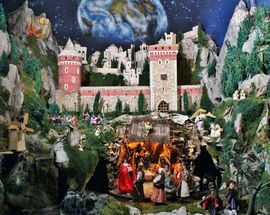 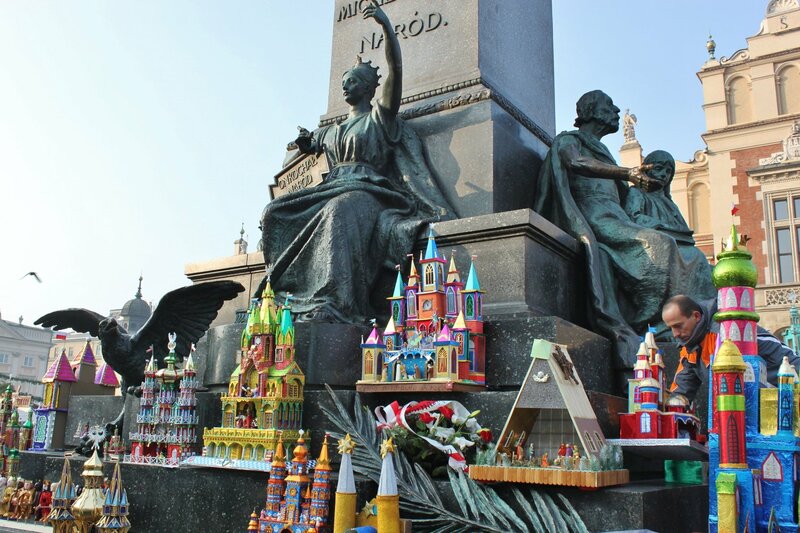 Using a variety of lightweight materials and covering them with coloured foil, ribbon and other shiny bits, a typical szopka is bright and cheerful and attempts to integrate the city’s topography into the traditional Bethlehem nativity scene. 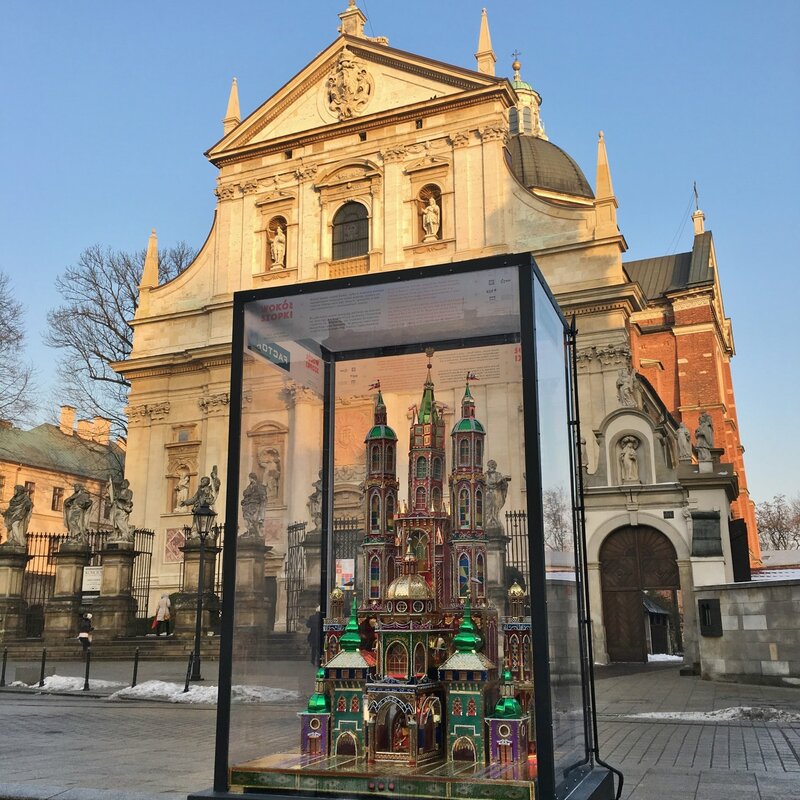 Though commonly called ‘Christmas cribs’ in English, szopki look more like castles or cathedrals than cribs (in fact, they in absolutely no way resemble cribs), the general rule being that they incorporate characteristics of Kraków’s range of historic architectural styles. 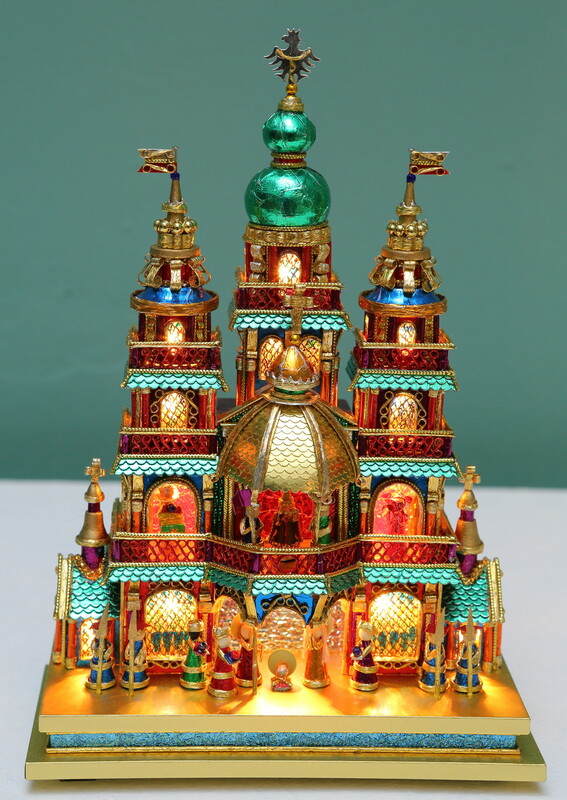 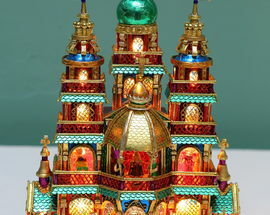 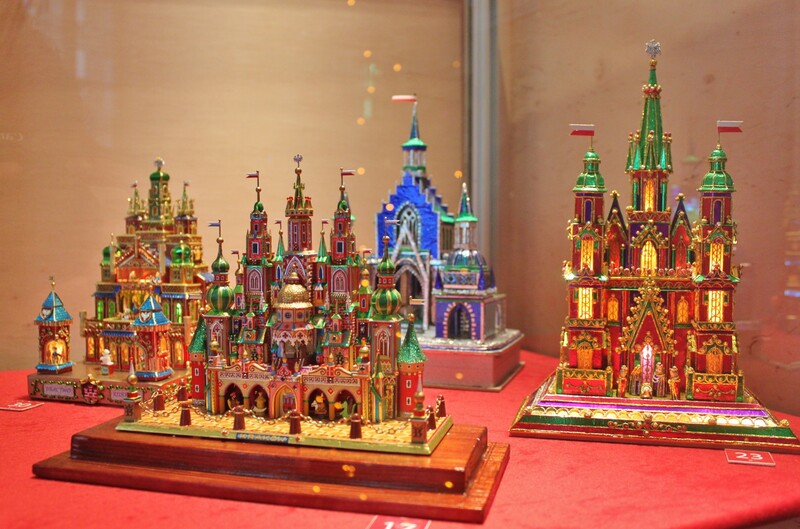 Most szopki are loosely-based off the design of St. Mary's Basilica with its landmark spires; however miniatures of other unique buildings like Wawel Castle, the Cloth Hall and the Barbican have also been made. 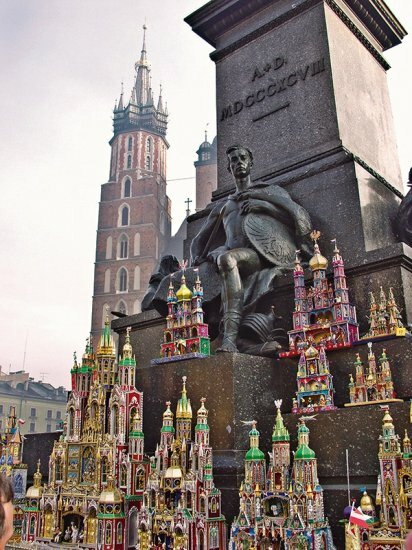 Generally, baby Jesus can be found amongst the glittering surfaces of the second floor, while the ground floor is tenanted by figures from Cracovian history and legend like Pan Twardowski, Tadeusz Kościuszko or the Wawel dragon. 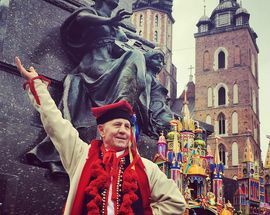 To support this unique folk tradition, the city has sponsored a szopka competition since 1937. 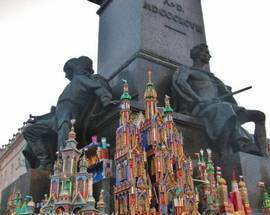 As per tradition, the competition is held on the first Thursday in December each year at 9:00 when cribmakers and szopka specialists will gather on the main market square with the year’s entries, displaying them for the public around the Adam Mickiewicz monument. 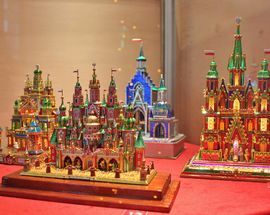 Everyone is welcome to participate and encouraged to admire the truly bizarre and ornately decorated art-pieces of all sizes, free of charge. 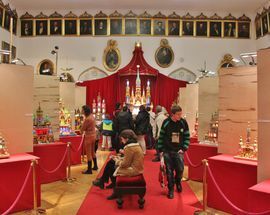 By noon they are moved indoors, where they will be displayed throughout the holidays. 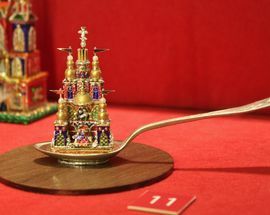 Awards are given in a number of categories on the first Sunday of December, and each year the most intricate and interesting szopki are added to the permanent collection of the Kraków History Museum. 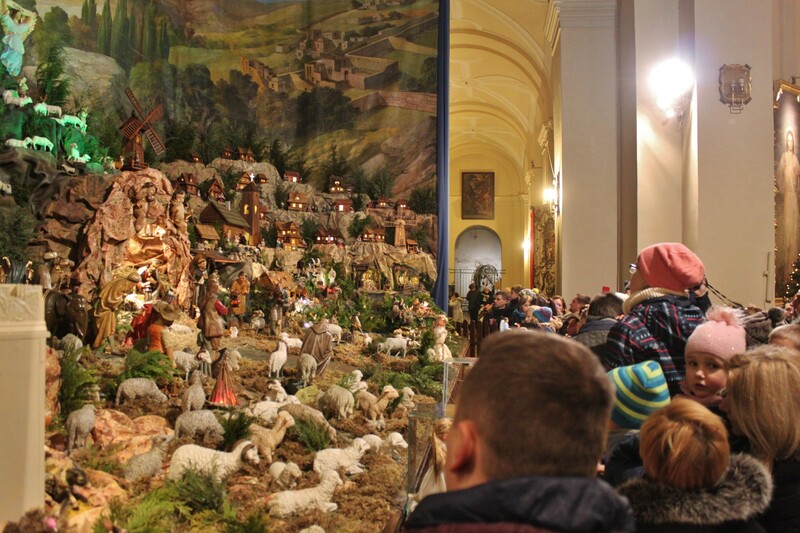 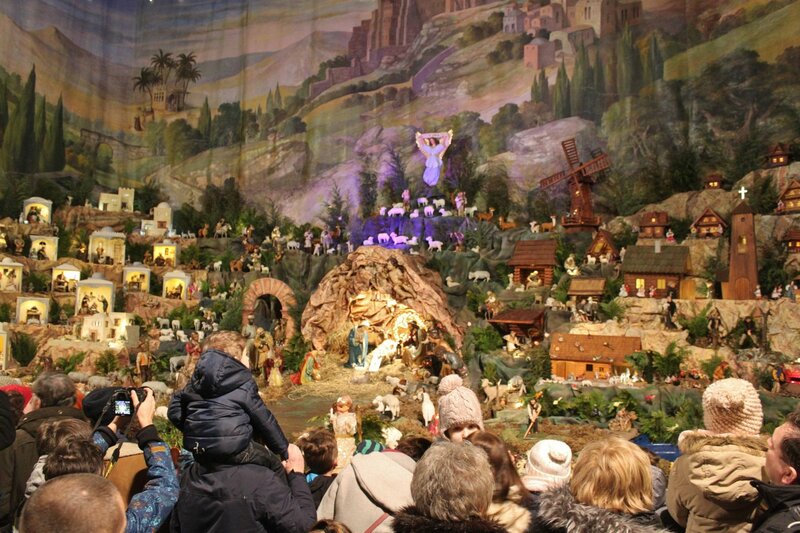 It's then an essential holiday tradition for every family in Kraków to visit the wildly popular annual Christmas Crib Exhibition, and you're obliged to do the same if you're in town at any time between early December and the end of February. 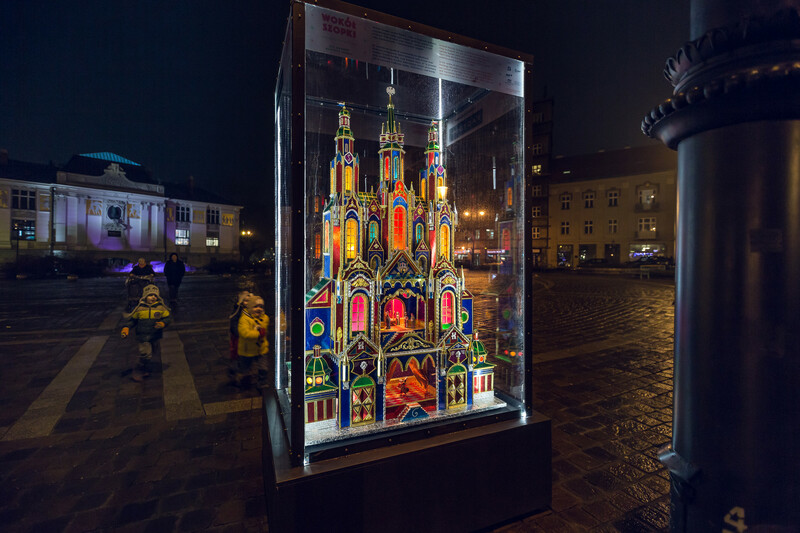 In addition to the official exhibition in Celestat, the city has also placed glass-ensconced szopki from the collection of the History Museum in public places around the city, from squares to shops to restaurants. 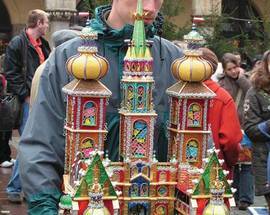 Numbering 40 in total, keep your eyes peeled for them as you stroll the city centre during the holiday season (until the end of January). 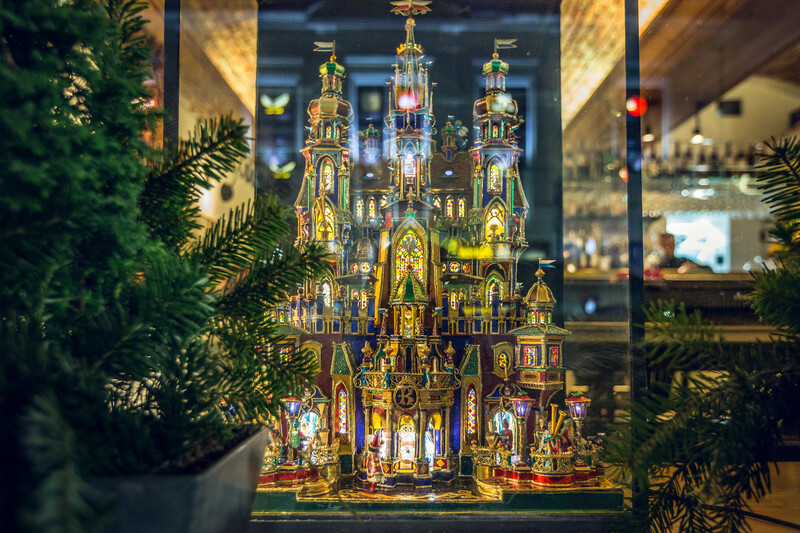 Each church in Kraków also takes special pride in their szopka, revealing it in time for midnight mass ('pasterka') on Christmas Eve. 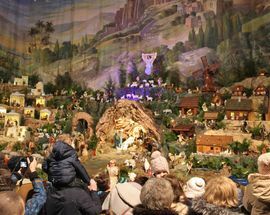 Unlike the rather bonkers, and slightly more secular local mutation detailed above, these are more traditional nativity scenes centred around baby Jesus in the manger, though some of them are meticulously motorised and electrified. 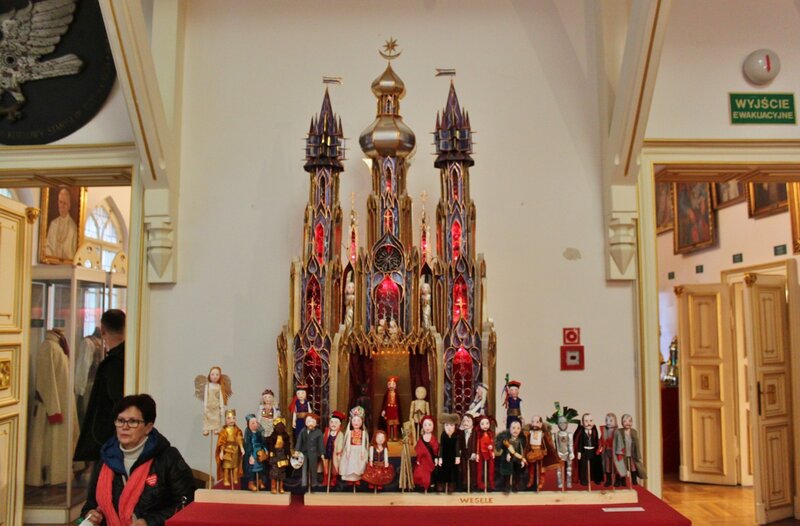 As you wander the Old Town between December 25th and February 2nd, don't miss the chance to check out some of these elaborate displays hidden inside the city's churches. 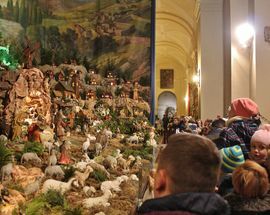 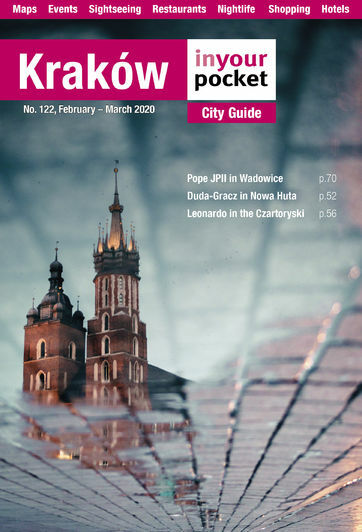 Of particular note are St. Bernard's Church, which usually has the most expansive and 'in-motion' nativity in town; the Pijarów Church, which has developed a reputation for having each year’s most unconventional szopka on display in its crypt; and the Kapucynów Church where you can see one of the most popular szopki in Poland, dating back to the 19th century.